The University of California San Diego School of Medicine hosted a wide ranging conference on brain health at the end of May. The first topic I’ll cover is a talk by Robert Stern, PhD, professor of neurology at Boston University. Dr. Stern is also Co-Director at the Center for the Study of Traumatic Encephalopathy, known more informally as the NFL (National Football League) Brain Bank. Most of these are subconcussive blows to the head, but that doesn’t make them trivial events. Two football linemen can generate enough forward speed to run into each other at a combined speed of 20 miles per hour – this puts more than 20 g of force on all body parts, including the brain. 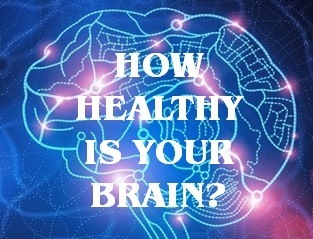 It is an inaccurate belief that brain tissue can be “toughened up” in the same manner that muscle and bone tissue can be strengthened against physical stress and impact. Our brain has the physical strength and consistency of refrigerated jello – think about what this means when someone is struck on the head hard enough to cause concussion symptoms. Helmets and other gear can provide a limited amount of protection, but they don’t stop the laws of physics from doing their work on brain tissue. So why all the focus on all these “regular” subconcussive hits on the head? Because we’re only beginning to understand the potential long term consequences to the brain of repeated hits that are common in some sports. Research presented during the talk indicates that a cascade of damage starts in neuronal axons – the wires that connect brain cells together. As damage from cumulative hits grows, the axons begin breaking down, causing neuron death and a host of cognitive and emotional problems. It was confirmed that Dave Duerson was suffering from brain damage before he committed suicide last year, and it’s possible that Junior Seau also had brain trauma related to his football career. I believe we will eventually find that personal genetics plays an important role in how people respond to “minor” brain injuries. It could be that the toughest 250lb football lineman on the field will also have the most vulnerable brain when it comes to head injuries. Longer term, the possibility of screening for “concussion resistant” brain genome profiles in applicants and recruits. In addition to the military, I can see how school and professional sports teams would find this capability useful. However, we’re still probably many years away from having a practical screening application on this. See also: Can Helmets Really Prevent Concussions?